How a brief meeting can lead to a lasting impact. During his stay, he spent a lot of time investing in our older youth, as well as getting to know our fearless volunteer, Juliette. 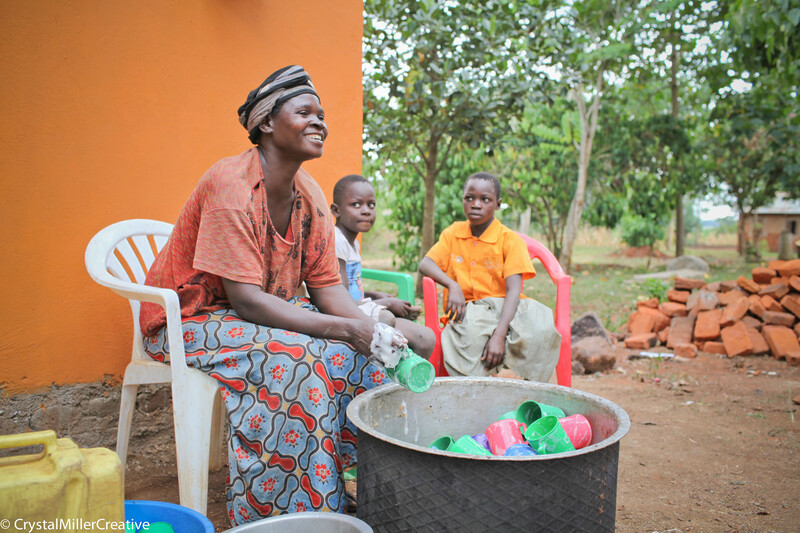 Juliette is HIV+, and struggling to raise her children. After Raphael returned, his charity, SOLIBAD, committed to supporting our high school student scholarships! This was an answer to our prayers. Then I got a call from Pastor Paul. He shared that Juliette had lost everything: house, land, crops, money, etc. While she was getting HIV treatment, her in laws stole it all. I shared this with Raphael, and he was compelled to help. 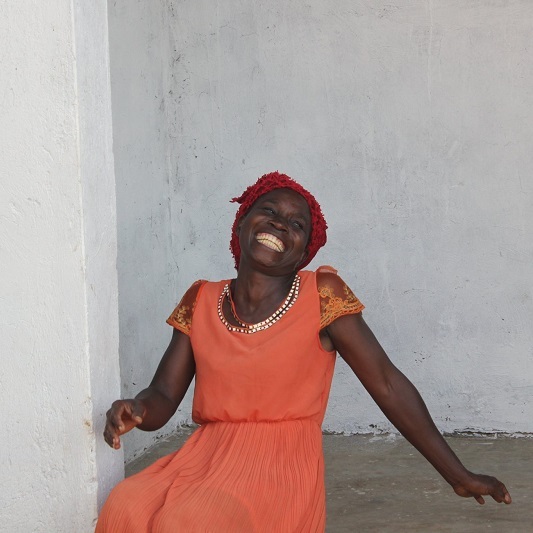 Together with Raphael’s board from SOLIBAD, they bought Juliette new land and bricks to build her new home. 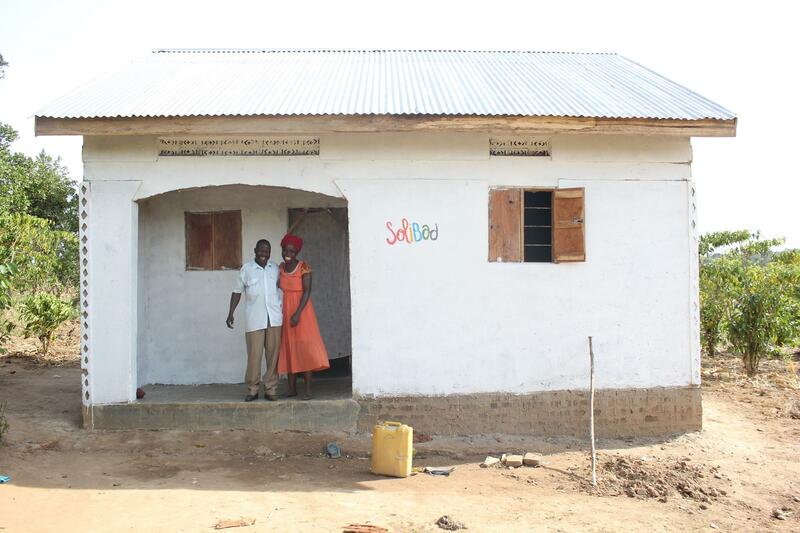 We just finished painting SOLIBAD on her home to remember those who invested in her life. Who knew that one coffee meeting can lead to empowering Juliette’s life! 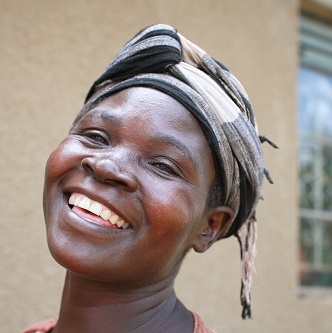 She now volunteers full time as a counselor and leader of those living with HIV/AIDS. A special thank you to SOLIBAD and all those who support SOLIBAD for the tangible hope you give. I wonder what my next coffee meeting will produce! God’s world is truly, small. When you receive the phone call in the middle of the night that one of your ROWAN caregivers Tapenesi (and dear friend for 10 years) is unconscious in the village, what would you do? She isn’t moving. She has been sick for a few months but we didn’t know why. The local leaders were even speechless. They said, “Kelsey, she will pass very soon.” My heart broke. I felt helpless from here. But hope doesn’t disappoint us. Tap went to the hospital, unable to open her eyes, eat, talk or move. After 1 month of testing and treatment, she is now sitting up, laughing, eating real food and wanting to go home! We found out she has a horrible brain infection, but by God’s grace she is healing! God is so good. She will be a testimony of how far God’s love can reach. Her total bill was over $6,000. Of course, we said “yes” to doing whatever it took to help Tap, as we would for any of our women and children. If you’d like to contribute to Tap’s medical bills so we can have future urgent needs funding for others, donate here. Please continue to pray for Tap as she finishes her time at the hospital and continues healing. Donate to Tap’s medical needs. 10 ROWAN students transformed at camp! Recently ten of ROWAN’s kids were chosen to attend the Scripture Union Conference at a high school in Kampala. The Scripture Union Conference is a Christian leadership camp that works with kids every year to learn more about the word of God and dig deeper into its teachings and its meaning in their life. What they came home with was amazing, a refreshed heart on fire for the lord. These kids are now inspired to help others through their spiritual journeys. One student said, “I am going to transform our family, friends, community and the country at large.” One main teaching of this camp was about bearing the fruits of God. Based from Colossians 1:10 they learned that the fruits of God come from love, faith and trust. The kids also discovered how to better connect with Jesus Christ through prayer and helping others. Empowering the the future leaders in our communities is so important and is demonstrated here!